Jane Hanft (Mayberry) Zimmer mother, grandmother, great-grandmother died 12/22/2017 in Austin, TX. She was born 7/7/1925 in Minneapolis, MN named Jane Bernadine Hanft to Gay (Berven) Hanft and Oscar Hanft and was the elder sister to Donna ("Cookie") Hanft. Jane grew up in the Twin Cities and Brainerd, MN. She was a forerunner for women of intellect, independence, giving and lifelong learning. Jane led a life filled with curiosity, analytical focus, creativity, and working to educate those around her. As a girl, Jane listened to philosophical, political and scientific debates in her family as world tensions escalated and the US entered WWII. Members of the debate included, Uncle Robert (who became Management Professor at Chico State in CA and author of three books on railroads), Uncle Frank (a respected professor of Law at Chappell Hill), Oscar, her father, (insurance salesman and pilot) and grandparents. Gay, her mother, had the greatest impact on Jane. She was a natural educator and active in charity work helping the affluent care and share with the less fortunate. It is from this background Jane's nature was to question, learn and debate. She worked to set the goal for herself and follow the motto of "caring and sharing". Having lived in many places (Minnesota, Michigan, Washington, Arkansas, Illinois, Florida and Texas) enabled Jane to share and collect stories. Living a long life though significant times in history provided Jane the luck of meeting many fascinating people. The earliest was Charles Lindbergh, when he was barnstorming in Minneapolis she was with her grandmother when she got in his plane for a short flight. The Andrew Sisters (Maxene, Patty and LaVerne) attended her high school. While attending the University of Minnesota during and after WWII she met Jean Piccard engineer, professor and high-altitude balloonist; Sir Arthur Charles Clarke scientist and later famous science fiction writer; Sister Kenny who revolutionized polio treatment; Dimitri Mitropoulos at a symphony tea; Rosalind Russell at a social event and Liberace while he was preparing his candelabra at the Radisson. In retirement, while a volunteer guide, at Mote Marine in Sarasota, FL she met Eugenie Clark known for her shark research; Dr. Sylvia Earle a marine biologist, explorer and author; and Bob Ballard oceanographer who discovered the wreck of the Titanic. Jane graduated from Mound Consolidated High School in 1943; she was accomplished in mathematics, awarded high school journalist, a competitive debater and member of the National Honor Society. She graduated from the University of Minnesota in 1946 with a BA from the College Of Science, Literature and the Arts. A member of Delta Phi Delta (ΔΦΔ) honorary art fraternity and Delta Zeta (ΔΖ) college sorority. Jane was the rare female in aeronautical engineering classes. She studied drawing at the Minneapolis Institute of Art. She also took ballet classes from an European instructor. She was married to Herb Mayberry, her first husband, April 5, 1947 to 1963. As a single parent of Brent, she worked as a substitute teacher and earned her masters from Eastern Michigan University in 1966. She returned to Minnesota with her son and started teaching in 1967. Her peers, principal and administrators recognized her as a skilled, creative and talented educator. Her skills led to her a challenging position of being the resource and Title 1 teacher for both gifted and disabled children Kindergarten to 6th grade in Woodbury Elementary and Cottage Grove Elementary in South Washington Co., MN until her retirement in 1983. She married her second husband Robert Zimmer December 27, 1972 a retired fluent multi-lingual Corporal in US Air Force WWII and electronics technician. In retirement, Bob became a classical music DJ for KZNZ in Hot Springs, AR. Jane and Bob both shared a natural curiosity and love of culture. Jane and Bob both shared a natural curiosity and love of culture. They enjoyed dinner theater, symphonies, dancing, visiting museums, and discussing scientific topics prior to Bob's death February 16, 1988. Retirement eventually brought her to Sarasota, FL where in her 70's she continued learning. 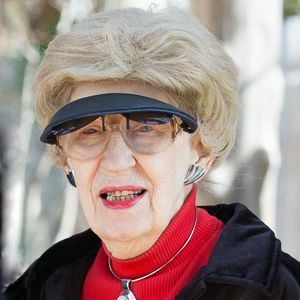 She was an active member of the American Association of University Women (AAUW), Selby Botanical Gardens and was a guide at Mote Marine Laboratory. She was constantly studying marine biology and collecting fossilized shells. In 2005 she moved to Austin, TX to be near her son and grandson. She continued learning her whole life loving to visit the IMAX for the latest scientific films and discussing many topics until the end of her full life. She is survived by a son Brent Mayberry, Austin TX; grandson Logan Mayberry Austin, TX; granddaughter Holly (Farrell) Duffy, Aurora, IL; great-grandson Colin Duffy, Aurora, IL; grandson Shaun Farrell, Burr Ridge, IL and great-grandson Taylor Farrell, Chicago, IL. Her beloved and accomplished daughter Merilee (Mayberry) Thompson, parent to Holly and Shaun, died April 15, 2011. Jane Zimmer's home, 6101 Roxbury Ln, Austin, TX 78739 Memorial Service for Jane (Bernadine / Berven) / Hanft / (Mayberry) Zimmer https://www.tributes.com/obituary/show/Jane-Bernadine-Berven-Hanft-Mayberry-Zimmer-105660327#services https://www.tributes.com/obituary/get_ics/105660327?service=3540834&tr= Memorial for Jane Zimmer's family, friends and neighbors. Memorial for Jane Zimmer's family, friends and neighbors. This memorial already belongs to a loved one. Only that person can enhance the Tribute. If you are the Tribute owner, please log in.